Our range of products include terpinolene 92, terpinolene 30 and terpinolene 20. We are passionately engaged in manufacturing & supplying an exclusive range of Terpinolene 92 that is used to make plastics and resins. The provided Terpinolene 92 is used in the cosmetics and food industries. 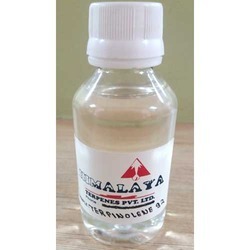 This Terpinolene 92 is accessible in various packaging options as per the needs of customers. 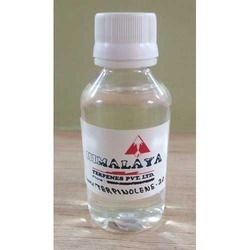 Offered Terpinolene 92 is tested precisely by our quality controllers under the distinct rules that are set by the industry. Used in technical perfumery compounds. Our company is extremely involved in providing a comprehensive range of Terpinolene 30. This Terpinolene 30 is made available in various packaging options so as to meet the demands of customers. Offered Terpinolene 30 is processed with advance methodology keeping in mind the standards of market. 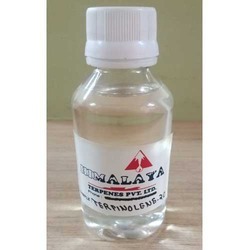 The provided Terpinolene 30 is tested under the direction of our adroit professionals against the countless parameters of quality to promise their high quality aspects. Odor Piney, lime-like and eucalyptus. We are identified as one of the most competent enterprises of this industry, engaged in offering Terpinolene 20. Our offered Terpinolene 20 is used to be extracted by fractional distillation of wood turpentine. Also, this Terpinolene 20 is accurately tested on pre-defined parameters in order to ensure its purity. The offered Terpinolene 20 is used in technical perfumery compounds.